World Tennis Number One Andy Murray teamed up with Judo World Champion Teddy Riner for a training session showcasing the shared technical values of Judo and clay court tennis – patience, defense and momentum-swinging attack. 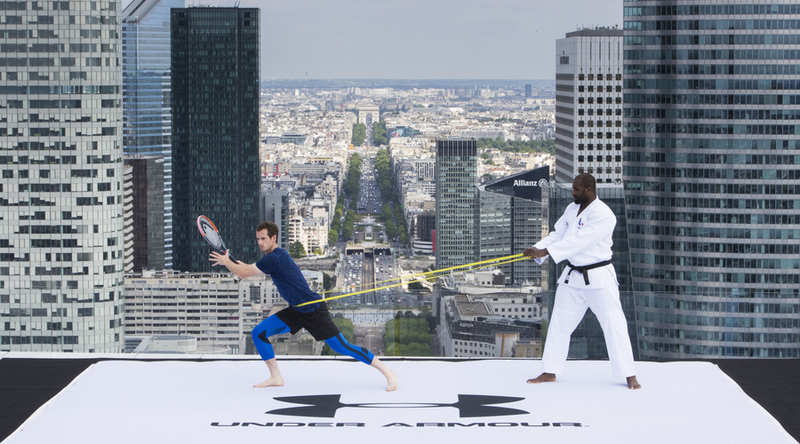 Under Armour elite athletes Andy Murray and Teddy Riner met atop La Grande Arche de La Defense to support Murray’s preparations ahead of Roland Garros. Under Armour, the official apparel and footwear partner of both elite athletes, brought them together for a unique training session that showcases the shared technical values of Judo and clay court tennis. The meeting between the pair is the first event held on the newly opened roof of the iconic La Grande Arche de La Defense. Following the training session, the two athletes shared their experiences and knowledge of what it takes to be successful at their elite level. Riner was the ideal training partner for known perfectionist Murray, as his commitment to using innovative training methods have established and maintained his position as the world number one. The training session saw Riner lead Murray in dynamic drills, derived from the dojo (a room or hall in which Judo and other martial arts are practiced), yet relevant for the dirt of clay court tennis. The session showcased the process of turning defense into attack through strategic shifts of the body. “Being number one is about never standing still, you can never believe you have nothing new to learn and must always push to find whatever can take your game forward. So, it was really interesting to see how Teddy prepares for the biggest events and pushes the boundaries of his own training, not just physically but also mentally,” commented Murray. Riner added, “It was an honor to train and speak with Andy Murray in Paris, and I hope he enjoyed having me as a small part of his training camp. Judo is built on the ability to turn defense into attack, a strategy that is also crucial to success in clay court tennis, and I believe the session has taught each of us invaluable lessons, not only on its importance but also the patience, focus and will required to achieve it”. 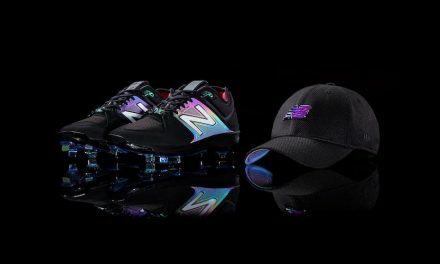 Both athletes wore Under Armour performance apparel and footwear, including the brand’s Threadborne technology that builds garments in 3D. They also wore Charged Ultimate 2.0 training shoes – a lightweight, supportive shoe with extra grip. Riner sported his custom Under Armour Kimono for portions of the training session.